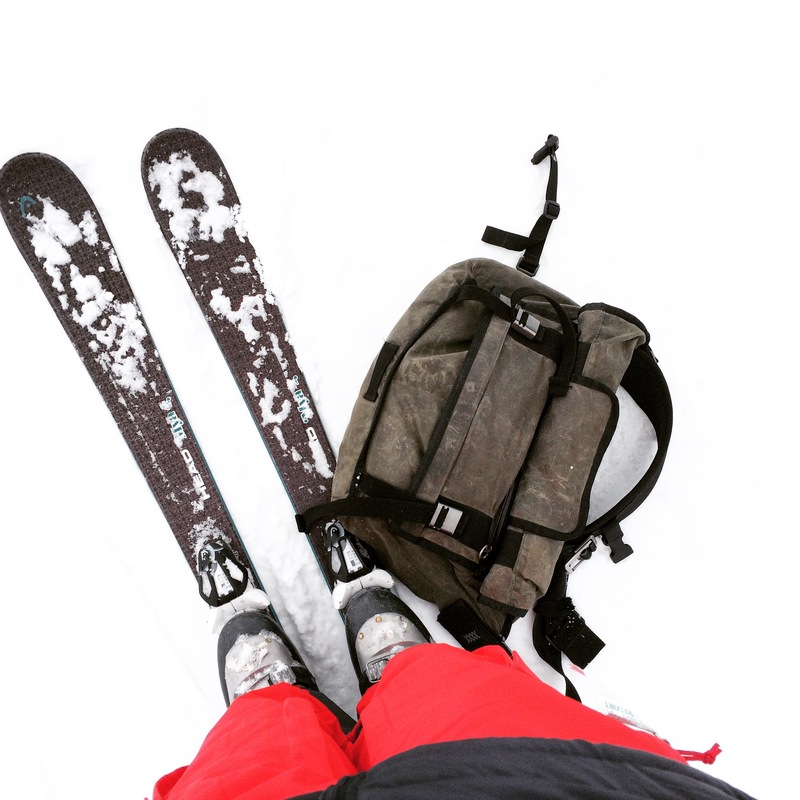 The Mission Workshop in Waxed Canvas is actually a great skiing bag. It’s softer cotton canvas wraps around your back better compared to the stiffer cordura material of the normal Rummy. Because it’s a messenger you can easily swing it away from your back, around your chest when you get on the ski lift. The waxed cotton canvas is good weather proofed material and will keep your items nice and dry in the snow if you’re dropping into deep powder or if you’re skiing while it’s snowing. The rolltop function allows you to keep items that don’t need to be accessed frequently, in the main compartment. When the main flap is rolled up, it frees up the front zipper pocket to be easily accessible. This is actually a large area and can fit a 13 inch Macbook Air. This is where I put my camera or things where I need to access quickly when I’m on the mountain. Previous Previous post: Happy New Years from San Francisco!